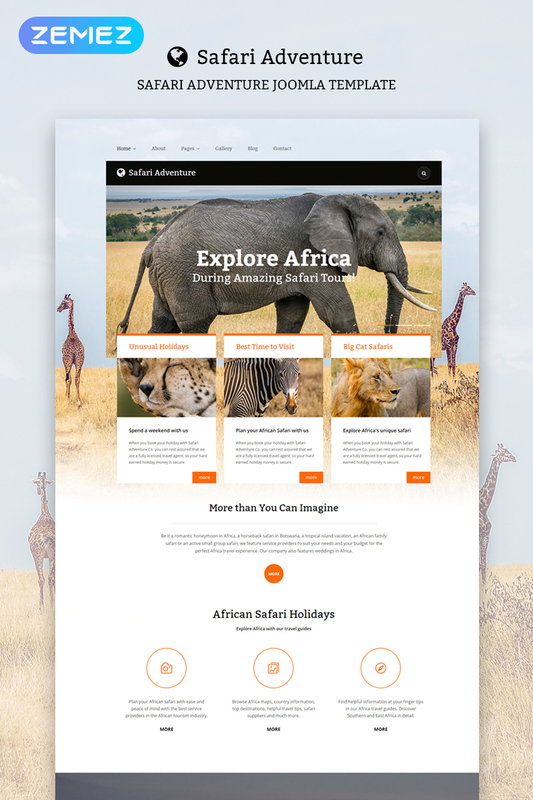 This responsive safari Joomla template is a content-rich solution for wildlife, travel, or any other nature-related site. Box framing enhances the layout structure, whereas page-wide image backgrounds add more interest to it. Integration of a square-tiled gallery ensures an instant preview of multiple pictures right on the front page. For ease of use, the gallery features a sorting option. Address details, Google map and links to social profiles create an effective access point to your company at the bottom. Having been successfully tested in modern browsers and on portable devices, this Bootstrap-powered theme can provide an optimal experience for any user of your site. Great and beautiful Joomla template with many modules positions, full responsive and very easy to configure. 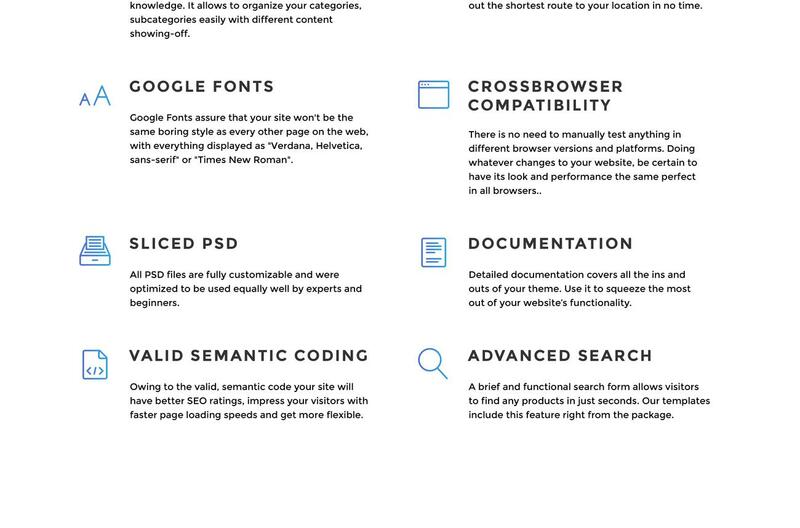 You can easy edit css styles, replace graphics and change almost everything. It is great for animals or nature projects, but if you want you can use it for many different projects. If you have some problems you can always ask for help and you will get it fast. Good for small and medium websites, very easy to install with quick start package. I recommend it to everyone!